Time flies, time for another faves post. I've been loving few things this May and I'm eternally happy to be able to share them with you because you also deserve to see the good stuff. For me, May has ups and downs (that's nature), however everything flew smoothly so I can say that this month was relaxing. I'm grateful for the past month, and I'm happily open for a new month. 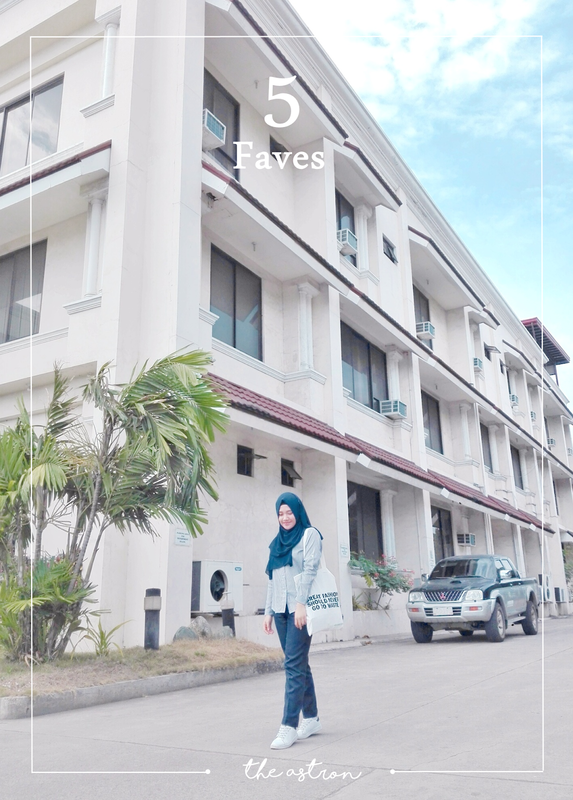 I started using canvas tote bag when I was in Davao last December 2017. Then, I stopped when I came back to Zamboanga because basically no one actually uses canvas tote bag because people refer it as “palengkera” bag. Even my friends scolded me once I wore it. Then, I realized, you know what I’m still going to wear it. I accept that I like things different from any one else, so I shall embrace it. So I decided to wear canvas tote bag every day to the office and basically anywhere since April. There are reasons though; they are eco-friendly, they look so minimal and comfy, can carry a lot, they look casual and it has become my signature bag. I’ve pretty much focused on planning and journaling this month, and I deserve a recognition for that because I’ve been secretly skipping writing on my Starbucks Planner for the past first months because I’m a perfectionist and I don’t want to mess the planner up. But this month, I’ve been a bit, just a bit, careless on what I write so I believe that I’m overcoming this thing called perfectionism. After watching two episodes of this drama, I hesitated to watch the whole series because the show was too toxic and I don’t want that negative vibes, really. But IU is the lead, and I’m a big fan so I forced myself to watch it and had this goal “I want to see Lee Ji An smile.” and for the first time, she smiled and giggled at episode 7. I was so happy, I fell in love with the show. This drama is so different from the other dramas that I’ve watched. It’s not everyone’s cup of tea, and since I’m not like everyone else, I definitely love the show mainly because of the message of the drama. The message was, be unconditionally kind. Whether people gossip on you, pity you, tries to tear you down, still be kind. This show inspired me to be kind, because no matter what you’ve gone through, the kindness that you gave to people will repay back to you and you will be happy in the end. You will have a happy life. I highly recommend you watch it. Especially those people who are undergoing depression and anxiety. This drama will show you that you are not alone and it’s never too late to alter your life to the brighter side, so never give up. This is one of the OSTs in My Ahjussi. Basically this song talks about how hard life can be and sometimes it causes us sadness and depression. We think that this is an endless road and we can’t arrive to the destination where we can be happy. This road, this is where Lee Ji An was trapped which causes her to make wrong decisions, but Park Dong Hoon served as a light and helped her out to escape that trap and live a happier life with a kind heart. I’m already teary eyed while writing this because looking back on my depression days. It was definitely hard. But just like the drama’s message, it’s never too late. Watch the music video if you want a sneak peek of the show. I’m a bit on a heart break at the moment because this reality show has come to an end. I really don’t want this show to end. It’s definitely one of my sources of happiness. I love this show so much because it made me realize bunch of things about life. I even pursue yoga because of Hyori. One thing that really stuck on me was when Hyori once said. “People can be happier once they let go of the thought; I have to be happy.” They let go of their greed and look for happiness in small things. It’s a YouTube channel of collection of Qur’an recitations that are healing and relaxing. I listen to its uploads whenever I’m meditating, working, or trying to fall asleep. I’m so thankful that I found this channel because my soul needs these Qur’an recitations to heal me sometimes. If you're a Muslim, make sure to check this channel out. Around this month I discovered a beautiful blog by Gabrielle. First impression was, damn her photos and preset is aesthetically pleasing, so I started following her on Instagram. And I didn’t regret it. I just find her so genuine and gentle. What an inspiration. Make sure to check the links out. I've been positive about it lately. Thanks, I did. I hope so did you. I also loved to journal when I was younger but kind of got away from it. I don't know why but I really need to start doing it again! You need to get back to it, it helps me so much to be productive and inspired. I love canvas bags too! They are so fun! Omg finally someone agrees to me! Thanks, Vanessa! Love your May faves girly! I'm also a hugeee fan of canvas totes. I'm wearing one today haha! OMG I'm so happy that you do. Haha! I love reading about what people have been genuinely loving. I've never heard of the t.v show you've mentioned but I love that it's all about being unconventionally kind. I've recently come across Gabrielle (aglassofice) too and her blog really is beautiful, just like you I had to follow her over on Instagram, her image's are incredible. I'm glad you love reading them, I do too. The show is actually a Korean Drama, I doubt that a lot of people know it but the message of the show is truly incredible. I love Gabrielle, she's such an inspo. I am a huge fan of Gabrielle as well, her blog is very inspiring and aesthetically pleasing. Yeah! She's such an inspo! yessss canvas bags and journalling. such vibes. Also I feel you on not wanting the negative energy of the tv show - I felt that when watching the handmaid's tale recently! Sometimes I lovvvve some dark spookyness in a film/tv show, and other times I feel it can kind of effect my mental health/ bring me down unnecessarily. Yayyy! True, you said it all. This is also the reason why I didn't watch 13 reasons why because I know it'll affect my mental health "unnecessarily". Hi! I'm a new reader to your blog, but I'm glad that you had a good month in May! 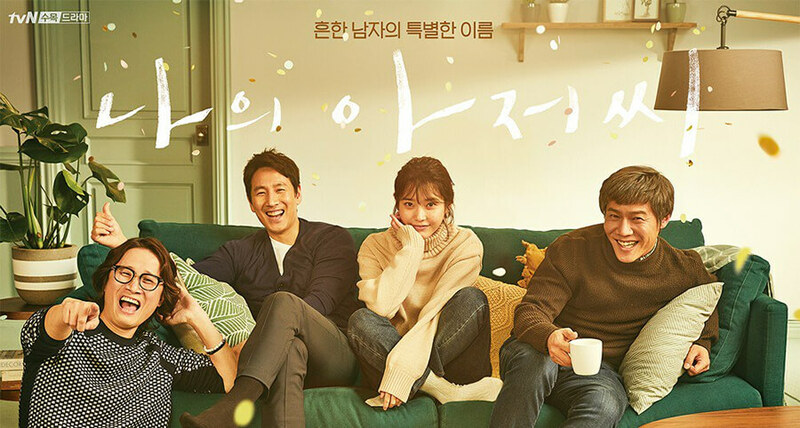 I've heard a lot of positive reviews about the My Ahjussi drama so I might give it a go 😃 I like to see people wearing canvas totebags since they're simple yet fancy! You have such wonderful contents and I believe that you put so much effort into it so you deserve this recognition hun. Thank youu! I love tote bags! And I agree, Grabrielle's blog is so amazing. I wish you a great month of June! Yayy! Thank you, you too! I'm so glad a lot of people love her, she really has great contents. Yeeess to that! Thank you dear, I hope you'll have a beautiful June. Yayy! You deserve to relax without the kids sometimes, it's wonderful to just restart and feel better again. I think I would like these things! Thanks for the suggestions! Yay, I'm glad. You're welcome!